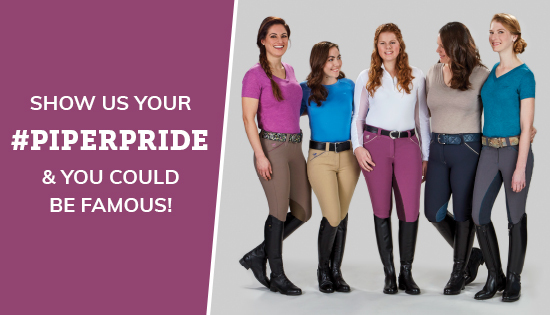 Do you love your Piper Breeches? Post a photo of yourself in your Pipers with #PiperPride on Facebook, Twitter, or Instagram, and you could be featured in one of our upcoming catalogs! Haven’t given Piper Breeches a try yet? Click here to check them out at SmartPak.com!